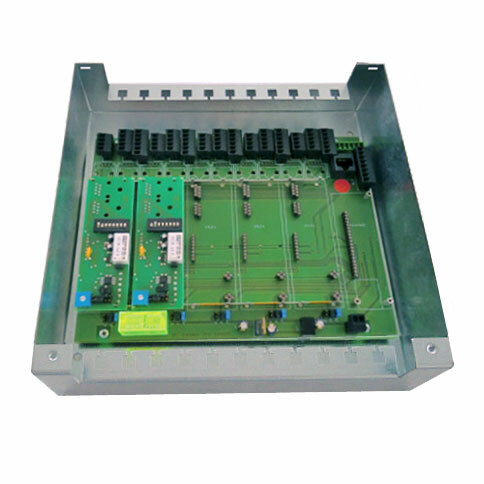 The interlock control system for hazardous areas functions similar to the system with central controller. The control boards of all doors belonging to the interlock system are united in a casing. Whenever it is possible, the central controller should be mounted outside the hazardous area. However, it also can be placed, together with the power pack, in an ex-proof casing and then be mounted within the hazardous area. The ex-proof interlock control system allows to control a maximum of 5 doors in the hazardous area. But it is possible to extend the ex-proof interlock control system to up to 8 doors. In the ex-proof interlock control system all feeding lines from the terminals and locking devices of the doors are directly led to the SK central controller and connected there. In hazardous areas flat cables and RJ45 connectors cannot be used. On the doors is mounted the ex-proof operating terminal BTZ EX. Contrary to most ex-proof operating devices, it is as small and aesthetically attractive as the terminals of the other DICTATOR interlock control system types. There are available two versions of the terminal BTZ EX. It always has an operating key to request the opening of the door and a LED light to indicate the status of the door. 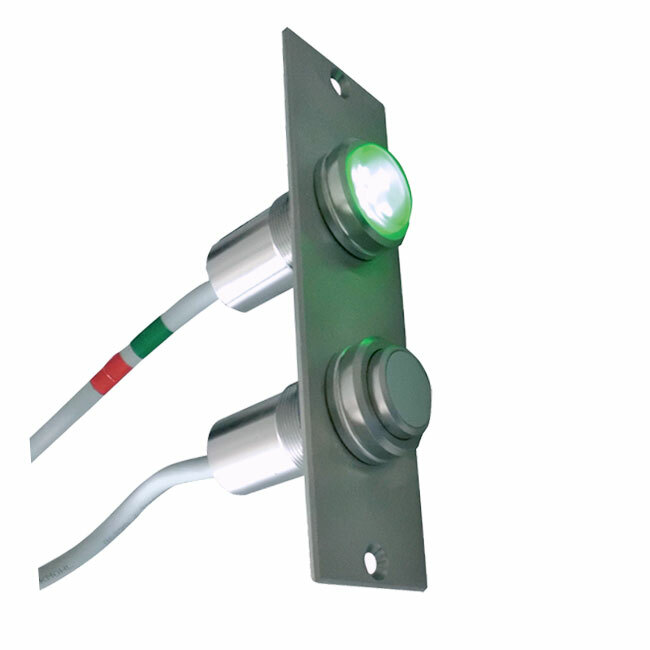 The light is either green or red, same as the illuminated ring of the door terminals of the other interlock control systems. On both sides of the door the same type of terminal is mounted. Both are directly connected to the SK central controller. In addition the operating terminal can also be equipped with an emergency-open switch. As locking device is used an ex-proof DICTATOR electromagnet with separate feedback contact. 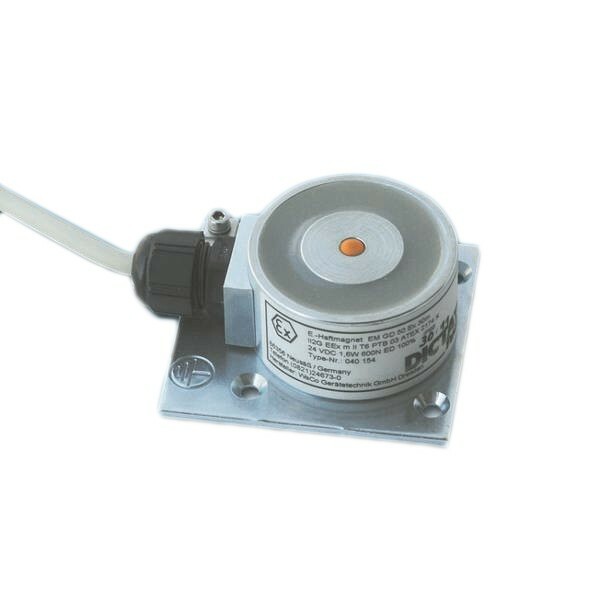 Magnet and feedback contact are also directly connected to the SK central controller of the ex-proof interlock control system. The power pack which is ready for plug-in, supplies the power. Its safety plug is plugged in a socket on site. In the SK central controller is provided a socket for the power cable of the power pack. In the SK central controller it can be adjusted that certain doors of the interlock system are released only after a delay. The remaining time, however, is not indicated in the interlock. The standard version of the SK central controller, as well as the corresponding power pack, are intended for their mounting outside the hazardous area. In case this is not possible, both can be furnished in an ex-proof casing. On every door in the hazardous area an operating terminal BTZ EX has to be fitted. The operating terminal is provided with the corresponding connection cables to the SK central controller. In the hazardous area an ex-proof electromagnet is used to lock the doors. In addition a separate ex-proof feedback contact is required on the doors. 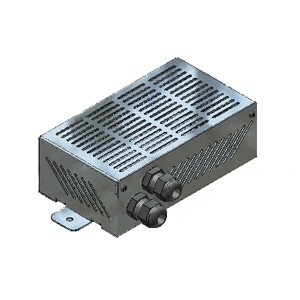 The 24 VDC power supply of the SK central controller is provided by a power pack. It is available either with a power of 2.7 A or 5 A. The power pack is furnished ready for mounting, i.e. it doesn’t have to be opened for connection.